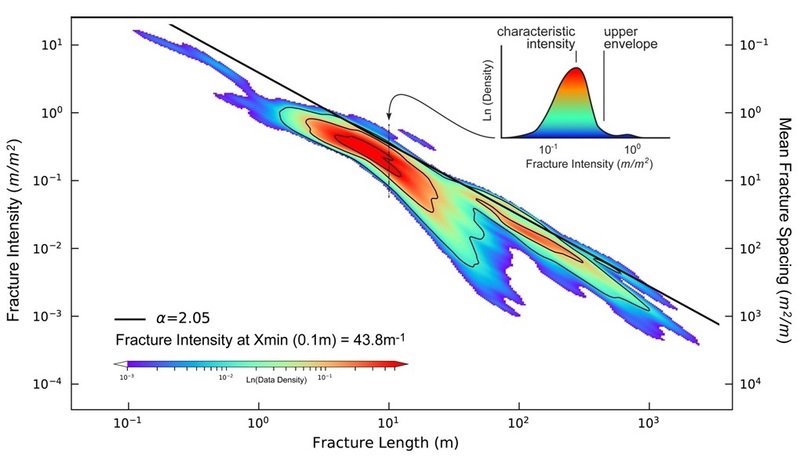 Fracture scaling parameters – the detailed relationship between the number of ‘big’ to ‘small’ fractures – are typically one of the most critical inputs when modelling naturally fractured reservoirs, and can have a profound influence on upscaled flow predictions. Scaling varies between different litho-stratigraphic units, and because of the inherent limits in seismic resolution, and the sparseness and bias in well data, is very difficult to derive from sub-surface data alone. 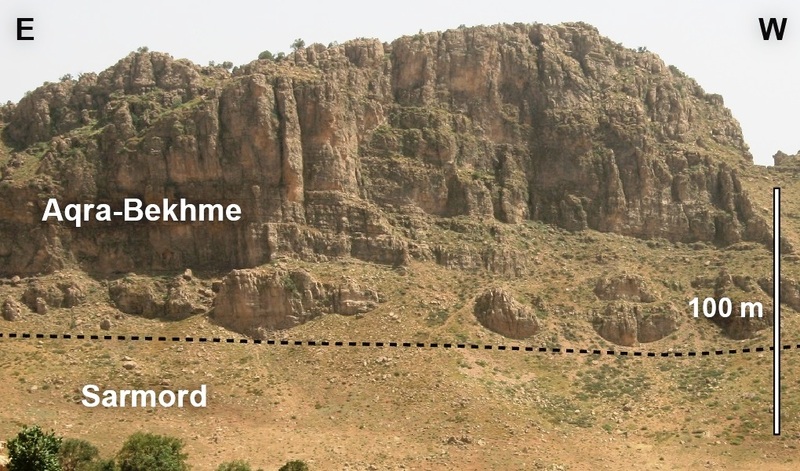 In the northern Kurdistan Region of Iraq there are extensive exposures of carbonate pavement that allow fracture length data to be analysed across five scale orders, and so provide useful outcrop analogues for nearby producing and potential hydrocarbon fields. We have collected and analysed extensive fracture data from across Kurdistan for all Cenozoic and Mesozoic reservoir units. At the Geology of Fracture Reservoirs conference last October at the Geological Society, London we showed example scaling data from the Aqra-Bekhme formation. The images above and below are cumulative length-intensity plots from ca. 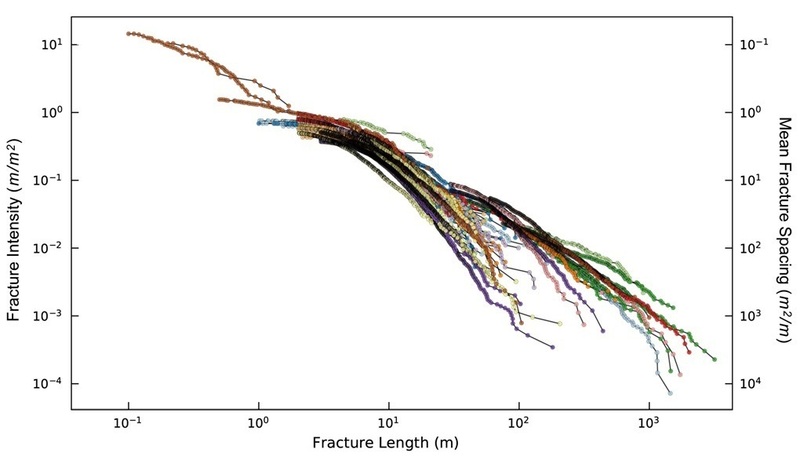 40,000 fractures measured from 55 sample sites. Raw cumulative plots are shown below, coloured by sample site. With this amount of data many of the traces are obscured. Contouring the plot (main image above) shows that the spread of intensities for a given fracture length spans an order of magnitude (see inset ‘cross-section’). This provides an extremely useful indication of the maximum and more typical median fracture intensities that are likely to be encountered in this formation in the sub-surface. (above) Multi-scale length-intensity plot for bulk fracture data from the Aqra-Bekhme formation, Kurdistan. Data are from 55 sample sites and are not divided into sets. Large datasets such as this are more usefully contoured (top image). The graphs shown here are for bulk fracture data: you’ll have to wait until the paper is published* to see similar plots for individual fracture sets! Or get in touch with us and we’ll send you a pre-print. * Hopefully in Petroleum Geoscience – we’ve just revised and re-submitted following positive reviews; now awaiting final decision. Variation in fracture heights seen in the Aqra-Bekhme Fm. from the Mateen anticline, northern Kurdistan.